Alabama’s first legal distillery since Prohibition has opened in a county famous for producing illegal whiskey, so called Moonshine. 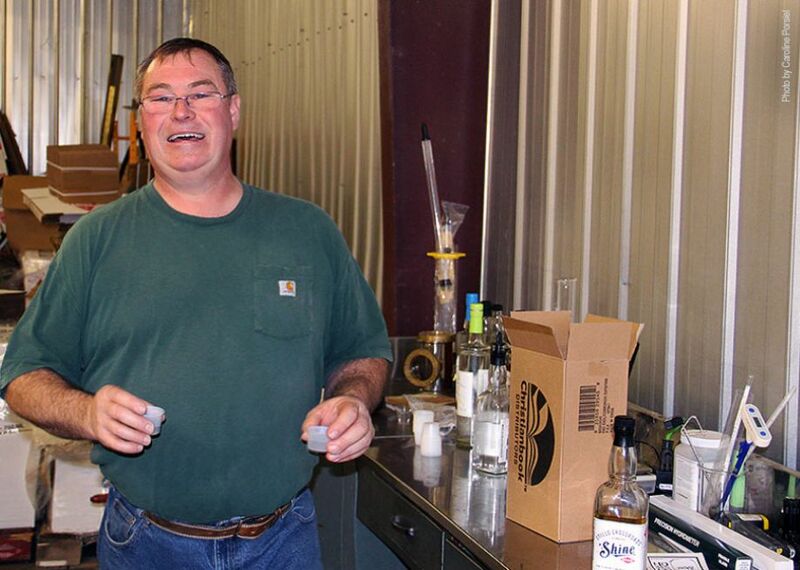 Jamie Ray is the Head Distiller and Manager of High Ridge Spirits in Bullock County. He opened the first legal distillery in Alabama in over 100 years in one of his former horse stables. Union Springs is a small city in southeastern Alabama, in Bullock County. The Creek Indian removal of the 1830s opened the area for white settlers. The city was incorporated on January 13, 1844 and has a population of about 4000 inhabitants today. The city’s name Union Springs derives from the twenty-seven springs in the area. Many of those pure-water springs have attracted ever since moonshiners, as well as Jamie Ray of High Ridge Spirits Distillery knowing that the water is one of the most important ingredients for distilling a high quality product. The moonshine tradition in Bullock County goes back over a 100 years in the area of Union Springs known as “Stills Crossroads”. Several newspaper articles tell stories about raids that took place in that area over the past century. Revenuers have long known about this region and it is still hard to control: Just recently in 2014 a 13-barrel illegal moonshine still was destroyed in the wooded areas of Union Springs by agents of the Alabama Beverage Control Board. Stills Crossroads is also the location of High Ridge Spirits legal Moonshine. 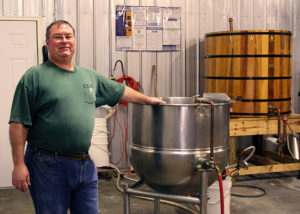 Jamie Ray, the Head Distiller of High Ridge Spirits, is an experienced master brewer. He decided to legalize the moonshine tradition in Bullock County since Prohibition in 1915. His idea was to create a classic Alabama “Shine”. 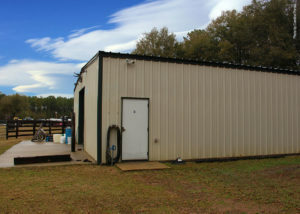 The distillery is located at Jamie Ray’s former horse barn on his property at “Stills Crossroads”. His product is a moonshine whiskey that is flavored with juice flavors from cherry to peach.